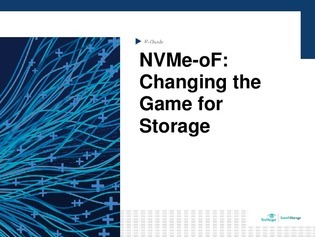 NVMe-oF is becoming the standard storage protocol for host-to-array and array-to-shelf communications and is set to change the storage landscape in the coming years. Dell, EMC, and other trademarks are trademarks of Dell Inc. or its subsidiaries. Other trademarks may be trademarks of their respective owners.